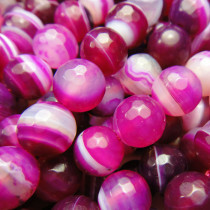 Agate is a naturally banded, translucent variety of Chalcedony, a mineral of the Quartz family. 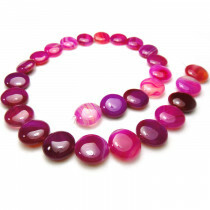 Agate has a wide range of naturally occurring varieties and colours. 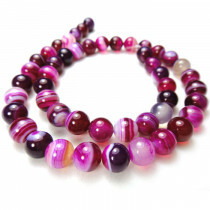 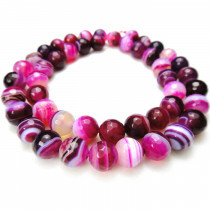 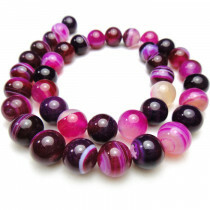 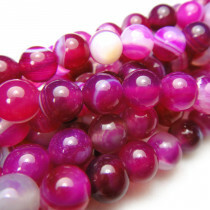 Fuchsia agate has been dyed to create its amazing vivid pinkish purple colours. 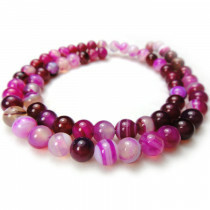 It is said that the gemstone Agate encourages inner stability, serenity, and self-development. 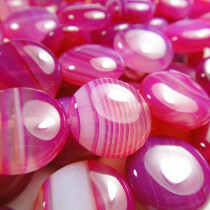 As a protective stone it creates security and encourages self-confidence. 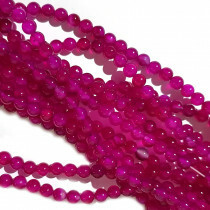 Fuchsia Agate Round 8mm Gemstone Beads (~50pce Strand) - 40cm/16'" Strand. 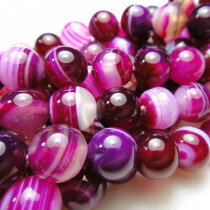 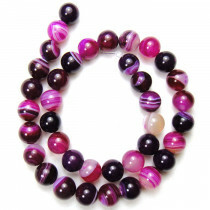 Fuchsia Agate Round 10mm Gemstone Beads (~40pce Strand) - 40cm/16'" Strand.